This shoe bag protects clothing from shoes in your suitcase, with these Travel Shoe Bags. 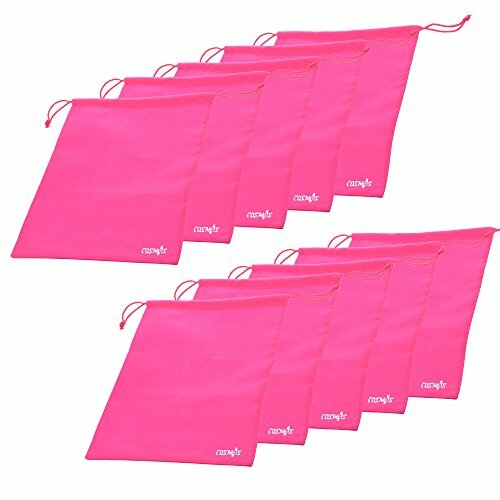 These shoe bags are made from Non-Woven & Polypropy lene, water-repellent Non-Woven with a drawstring closure. Sold as a set of 10, you'll never want to travel without the protection of these shoes bags. Perfect for camping, and other travel activities where you're walking on dirty terrain. Also great for keeping dress shoes from getting dusty in the closet! Cosmos® is a registered trademark USPTO serial: 85-390,937 protected by US Trademark Law, all products by Cosmos® are exclusively distributed by Galaxy Tech & Leisure.